43. 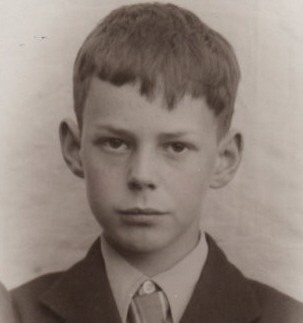 Edmund (Eddie) Lionel PENNING-ROWSELL (Marguerite Marie-Louise EGAN , Thomas Joseph , John , 'unknown' ) was born on 16 Mar 1913 in Kensington, London. He died on 4 Mar 2002 in Wootton, Oxfordshire. Eddie was a journalist and for more than 20 years was wine columnist of The Financial Times. He served as chairman of The Wine Society for many years and had a particular interest in Bordeaux wines. Eddie lived with his family in Wootton, Oxfordshire. Edmund married Margaret (Meg) WINTRINGHAM, daughter of John Fildes WINTRINGHAM and Eliza Mapson WORKMAN, on 12 Jun 1937 in Chelsea, London. Margaret was born on 28 Nov 1913 in Grimsby, Lincolnshire. She died in 2004. The 1939 Register tells us that Meg was working at that time as a secretary and that she and her husband, Eddie, were living at 6 Lansdowne Terrace, St Pancras, London. 47. John Philip BROOKE-LITTLE (Constance Marie EGAN , Alfred Joseph , John , 'unknown' ) was born on 6 Apr 1927 in Blackheath, Kent. He died on 13 Feb 2006 in Banbury, Oxfordshire. He was buried in Lower Heyford, Oxfordshire. John was an expert in heraldry. In 1947, at the age of about 20, he founded the Society of Heraldic Antiquaries, renamed the Heraldry Society in 1950. He subsequently graduated from New College, Oxford with a degree in History and later built up a practice in heraldry and genealogy which involved the design of coats of arms. From the 1960s until the 1980s John edited Boutell's Heraldry, a classic textbook on heraldry, and authored several books on heraldry. The family home was Heyford House, near Bicester in Oxfordshire, which John and his wife, Mary, purchased after their marriage. Note from Helen: Having read that John ran a practice in genealogy and heraldry it would not surprise me if he had drawn up his own family tree. If such a tree exists I would love to take a look at the Egan branch as my husband is connected to John through the Egans (my husband's grandfather Stephen Hussey was a third cousin of John's - John and Stephen's Egan great-grandparents were brother and sister respectively). If anyone has a copy of such a tree I would be very grateful if you would email Helen@HelensFamilyTrees.com. John married Living in 1960 in Holborn, London. 51. Robert (Bob) Edward HUSSEY (Mary Theresa BUTLER , Jane LYNCH , Mary Ann EGAN , 'unknown' ) was born on 3 Jan 1893 in Albert Hall Mansions, Kensington, London. He died on 8 Oct 1947 in London. According to the 1911 census, Bob was a leather currier. This would have been at the Connolly Leather company, owned by the family of his future wife, Vera Connolly. It is said that Robert got the job with the Connollys, at the age of 13, thanks to the influence of one of his grandmothers who was a good friend of one of Vera's grandmothers. This grandmother of Bob's may have been Jane Butler (née Lynch) whose brother John was married to Vera's aunt Maria Connolly. Bob enlisted in the H.A.C. (Honorable Artillery Company) in November 1916 and, following a number of months training in England, his unit was sent to France in April 1917 and then on to Ypres, Belgium. He was invalided out of the army on 13 February 1918, suffering from shell shock. He had attained the rank of Corporal. Bob, Vera and their family lived at 4 Heath Mansions, Putney in the 1920s and at 17 Westleigh Avenue, Putney for most of the 1930s. By 1939 they were living at Oak Lodge, Beaumont Road, Putney. Bob died suddenly and unexpectedly, possibly of a heart attack. He was only 54 years of age. 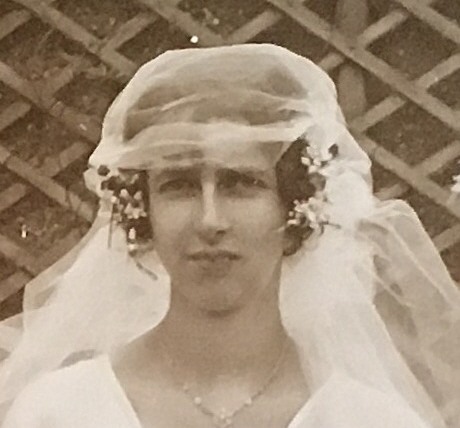 Robert married Veronica (Vera) A. CONNOLLY, daughter of Samuel Frederick CONNOLLY and Josephine SIMONA, in 1921 in Kingston upon Thames, England. Veronica was born on 14 Jan 1894 in Islington, London. She died on 29 Jul 1976 in Kingston upon Thames, Surrey. Vera's grandfather on her mother's side was Swiss, while her Connolly great-grandfather was from Castlehyde, Co. Cork, emigrating to England in the late 18th century. Vera's father was in the leather processing business, founding Connolly Leather, the Wimbledon-based company that eventually specialised in the manufacture of seating for luxury cars. Among the contracts awarded to the company was the provision of leather for the furnishings aboard the Queen Mary ocean liner, launched in 1936, for which Vera and her husband, Bob, received a free return voyage to New York. 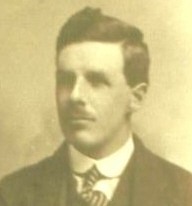 Vera's aunt Maria Connolly was married to Bob's granduncle John Lynch. + 75 F ii Living. + 77 M iv Living. 55. Michael Robert HUSSEY (Jane Frances BUTLER , Jane LYNCH , Mary Ann EGAN , 'unknown' ) was born on 6 Jun 1892 in 38 Westcroft Square, Hammersmith, London. He died on 7 Mar 1980 in Roehampton, London. He was buried on 14 Mar 1980 in East Sheen Cemetery, Richmond upon Thames, Surrey. Michael was a civil servant. In the 1911 census his occupation is given as 'Boy Clerk P.P. Savings Bank'. In 1914 Michael signed up for the Territorial Force. However, for health reasons (hernia, aggravated by training) he served in the Labour Corps as a lance corporal during the war, working as a clerk in the GPO. He was still at the GPO at the time of the 1939 Register, working as a "staff officer". Ursula Staszynski, a granddaughter of Michael and his wife, Mildred Bishop, has very kindly provided most of the information below on their family. Ursula has put her 'Staszynski Family Tree' on the Ancestry website www.Ancestry.co.uk, where you will find the family history, not only of the Husseys, but also of the Bishop family from Birmingham, the Garcia family (of Spanish origin) from Port of Spain, Trinidad, the Durity family (of French origin) from Trinidad, the Jones family from the Criccieth area of Wales, the Owen family from north Wales and the Evans family from Llanfair Caereinion, Powys, also in Wales. Michael died at Queen Mary's Hospital, Roehampton following a heart attack. Michael married Mildred BISHOP, daughter of Clement BISHOP and Emily Maud GARCIA, on 18 Jan 1919 in Church of Our Lady of Grace, High Road, Chiswick, London. Mildred was born on 28 Jun 1892 in Newtown, Port of Spain, Trinidad. She died on 15 May 1980 in Richmond upon Thames, Surrey. She was buried on 21 May 1980 in East Sheen Cemetery, Richmond upon Thames, Surrey. 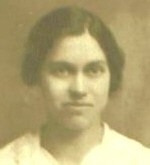 Mildred was born in Trinidad where her mother was born and where her English-born father was working as a teacher. The family moved to England when Mildred was a child and she and her siblings grew up in Hammersmith in London. After their marriage Michael and Mildred lived in Kensington and later for many years at 37 Dewhurst Road, Brook Green, Hammersmith, just next door to Michael's parents. Michael and Mildred subsequently moved to Cowley Road in Mortlake, Surrey. Mildred died just two months after Michael. They had celebrated their 60th wedding anniversary just over a year earlier. Mildred died in Kings Ride Nursing Home in Richmond. + 78 F i Monica Mary HUSSEY was born in 1921. She died in 1993. + 79 F ii Ursula Mary HUSSEY was born on 19 Feb 1923. She died on 18 Dec 2000. + 80 F iii Margaret Mary HUSSEY was born in 1925. She died on 13 May 2015. Peter Joseph HUSSEY was born in 1927 in Hammersmith, London. He died in 2009. Peter, who never married, was a banker with Coutts and lived in Twickenham in London. 57. Stephen HUSSEY (Jane Frances BUTLER , Jane LYNCH , Mary Ann EGAN , 'unknown' ) was born on 25 Jul 1895 in Hammersmith, London. He died on 7 Sep 1978 in Dun Laoghaire, Co. Dublin. He was buried in Glasnevin Cemetery, Dublin. Stephen grew up in Hammersmith, Kensington and Chelsea. Money was short, and he had to leave school at the age of 11 or 12 to help financially in the upbringing of his younger brothers and sisters. He is listed, aged 15, in the 1911 census as a builder's clerk. In 1914, at the beginning of World War I, Stephen joined the Royal Engineers Regiment of the British Army - the 'sappers', as they were known - and was sent to France. Sappers endured the most atrocious conditions and were always the last to leave an area when a retreat was taking place, blowing up roads and bridges behind them so as to slow up pursuit by enemy forces. During one such British evacuation, Stephen carried a wounded man to safety on his back, under gunfire, and was awarded the Military Medal. After the war, Stephen was trained as a builder by his grandfather, Thomas Hussey, and his uncle, Will Hussey. Stephen later formed a partnership with a Mr. Worman (Worman and Hussey), eventually setting up his own building company, Hussey Bros. (Builders) Ltd., on Queensway, Bayswater, London, with his brothers, Martin and Austin. The company was mostly involved in the building of churches, schools and convents, and for many years, Hussey Bros. had a maintenance contract with Westminster Cathedral. During World War II, once the German air assault on London started, the brothers worked mostly under official government contract on emergency repair and safety building work. After the war, the company built several modern churches. In 1947, Stephen and his wife, Mary, decided that their daughters would be better off living in Ireland, and so the girls moved to Dublin, the plan being that Stephen and Mary would initially remain in London and eventually retire to Dublin. Stephen and Mary sold their home in Barnes, moved into a flat over the premises of Hussey Bros. in Bayswater, and purchased a house on Roebuck Road in Clonskeagh for their daughters. However, on an extended visit to the girls in Dublin Mary became ill and died without ever returning to London. After Mary's death, Stephen visited Dublin more and more frequently. In 1957, with Maureen married, and Una and Brigie engaged to be married, he decided to sell the house on Roebuck Road, and a smaller house on Cedarmount Road in Mount Merrion was purchased. In the 1960s Stephen retired to Dublin, and for the remainder of his life he lived with Sheila at 14 Cedarmount Road. Stephen died of myocardial ischaemia with atherosclerosis, also carcinoma of the stomach, at St. Michael's Hospital, Dun Laoghaire, Co. Dublin. Stephen married Mary Brigid RYAN, daughter of Malachy RYAN and Mary MURPHY, on 28 Aug 1922 in Bagenalstown, Co. Carlow. Mary was born on 24 Mar 1898 in Garryhill, Co. Carlow. She was christened on 27 Mar 1898 in Bagenalstown, Co. Carlow. She died on 18 Nov 1950 in 'Ui Breasail', Roebuck Road, Clonskeagh, Co. Dublin. She was buried in Glasnevin Cemetery, Dublin. Sponsors at Mary's christening were Gerald Kearney and Clare O'Reilly. Mary was educated at the Loreto Secondary School on Dublin's St. Stephen's Green. After leaving school, Mary went to England and joined the Post Office Section of the British Civil Service in the Brook Green/Kensington area of London. Mary and her London-born future husband, Stephen Hussey, met at a local dance in west London. In comparision to his six-foot frame, five-foot-tall Mary was tiny. In 1921, about a year before their marriage, Stephen visited Ireland for the first time when Mary brought him to meet her family in Co. Carlow. After they married, Mary and Stephen lived in East Acton, and later at 12 Ullswater Road (which Stephen designed and built) in Barnes in London. Around 1948, after her eldest three daughters had moved to Ireland, Mary brought Brigie, the youngest, to Dublin to join her sisters. Mary's plan was to help her daughters settle in to the new home she and Stephen and just bought for them in Clonskeagh (named 'Ui Breasail' by Mary after the mythological island of Celtic folklore) after which she would return to London. However, while in Ireland she began to feel unwell and it was discovered she had cancer. Sadly, she never made it back to London, and died in Dublin in November 1950 aged only 52. The cause of Mary's death was "carcinoma of colon (18 months)" and "metastasis of ovaries" (nine months)"
+ 82 F i Maureen HUSSEY was born on 5 Jul 1924. She died on 19 Mar 1995. Sheila HUSSEY was born on 2 Jan 1927 in East Acton, London. She died on 27 Jun 2003 in Mount Merrion, Dublin. She was buried on 30 Jun 2003 in Glasnevin Cemetery, Dublin. Sheila grew up in Barnes in London where she was educated at a small French convent about a mile from her home. Barnes was heavily bombed during World War II and Sheila and her family spent much time in the air-raid shelter built by her father under the garage of their home. Sheila had an interesting encounter during World War II: one afternoon, having returned from school, Sheila was sent by her mother to run some errands in Hammersmith. She was waiting at a bus stop in Barnes and, as usual, there were many army vehicles passing by. One of them, a large U.S. Army car with flags, stopped and a large, middle-aged officer sitting in the back of the vehicle and sporting an impressive array of medals, offered Sheila a lift. Although she may have been told by her parents never to accept a lift from a stranger, Sheila hopped in beside the driver and on the short trip to Hammersmith Broadway she and the army man in the back chatted about school and her favourite subjects before being dropped off in Hammersmith. It was only the next day, when she looked at the front page of the newspaper and saw a photograph of the same officer who had offered her the lift, that Sheila realised she had met Gen. Dwight D. Eisenhower. After leaving school, Sheila started work in the Irish Passport Office at the Irish Embassy in London. Some time later, Sheila acted, unknowingly, as a matchmaker for two of her sisters: a group of young Irish civil servants had been sent from Dublin to augment the staff at the Irish Passport Office, and among them were Cormac Gordon and Michael Roantree. Sheila's mother, remembering how lonely she had felt when she had first arrived in London from Ireland, told Sheila to invite the newcomers to tea the following Sunday. And that was how Sheila's sister Maureen met her future husband, Cormac. Another sister, Una, would later marry Michael's brother Tom. Sheila herself never married. 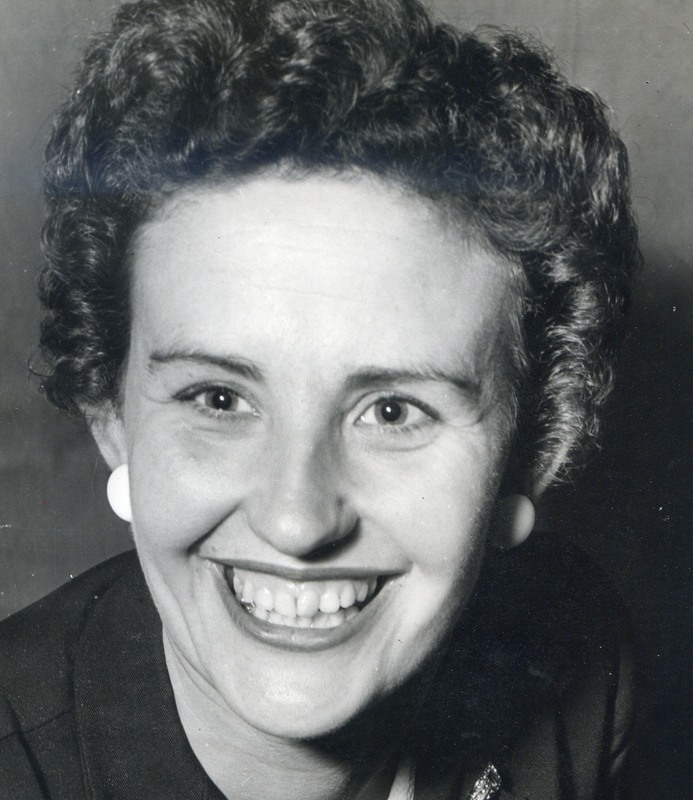 After Sheila moved to Dublin in 1947 with her sisters, she worked briefly in advertising and then moved on to publishing and some freelance journalism. She then spent a number of years in the now-defunct Irish News Agency, after which she joined Coras Trachtála (the Irish Export Board) and worked for many years in public relations and press work. She lived on Cedarmount Road, Mount Merrion, Co. Dublin and in her retirement became an active member of the Green party. + 84 F iii Una HUSSEY was born on 1 Oct 1928. She died on 29 Sep 1995. + 85 F iv Living. 61. Augustine (Austin) Thomas HUSSEY (Jane Frances BUTLER , Jane LYNCH , Mary Ann EGAN , 'unknown' ) was born on 24 Apr 1907 in Hammersmith, London. He died on 16 Nov 1992 in Ealing, London. Austin worked in the family building company, Hussey Bros. (Builders) Ltd. which was based in Bayswater, London. He is described in the 1939 Register as Director and Secretary Building Company". Commissioned in the Welsh Guards during World War II, he served in the Italian campaign and was near Monte Cassino at the time of its destruction. On his return from the war he rejoined his brothers Stephen and Martin in the building business which involved itself primarily in the construction of Catholic churches, schools and convents. Austin lived at 1 Mount Pleasant Road, Ealing for many years before moving to nearby Welsby Court, Eaton Rise. He was a keen oarsman and active member of Quintin Boat Club in Chiswick, London. Augustine married Jessica (Jessie) Mary MACKENZIE, daughter of Fraser MACKENZIE, in 1936 in Kensington, London. Jessica was born about 1907. She died on 17 Jul 1958 in Ealing, London. Mary J. B. HUSSEY was born on 25 Jan 1937 in Ealing, London. She died on 25 Jan 1937 in Ealing, London. Mary, who was Philip's twin, died at birth. Philip J. J. HUSSEY was born on 25 Jan 1937 in Ealing, London. He died in 1971. 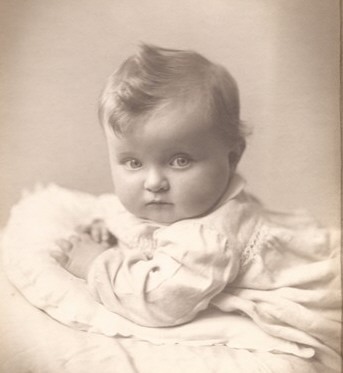 Philip, who was named after his uncle Philip Hussey who died in World War I, was Mary's twin. Sadly Philip was quite disabled and was only about 33 years old when he died. Augustine also married Living in Sep 1978 in Ealing, London. 63. George BUTLER (William John BUTLER , Jane LYNCH , Mary Ann EGAN , 'unknown' ) was born on 29 Aug 1917 in Dublin. He died on 2 Nov 2014 in Dublin. He was buried in Deansgrange Cemetery, Dublin. George was born in a nursing home on Holles St., Dublin in 1917. Note that this was not the large National Maternity Hospital on Holles St., which was nearby. George lived in Howth, Co. Dublin until he was about 10 years of age when the family moved to Lower Abbey St. in Dublin. George was educated at Belvedere College, Dublin, finishing his studies there in 1935. George trained as a sound engineer. Around this time, or a little later, he was living on Churchill Terrace, Sandymount Avenue, Ballsbridge, Dublin. Then, during World War II, he left Dublin for Northen Ireland where he worked for about five years in army camps, 27 in all, installing Tannoy public address systems. When the war ended George's work dried up and he and his wife, Nancy, moved to Dublin where George joined the Siemens electrical company as a sales representative. He and Nancy had at least one child at the time of the move. In Dublin George also found time to present a classical music programme called "Sounds Continental" on Irish radio, having successfully pitched the idea to Radio Eireann. The programme ran for several years. 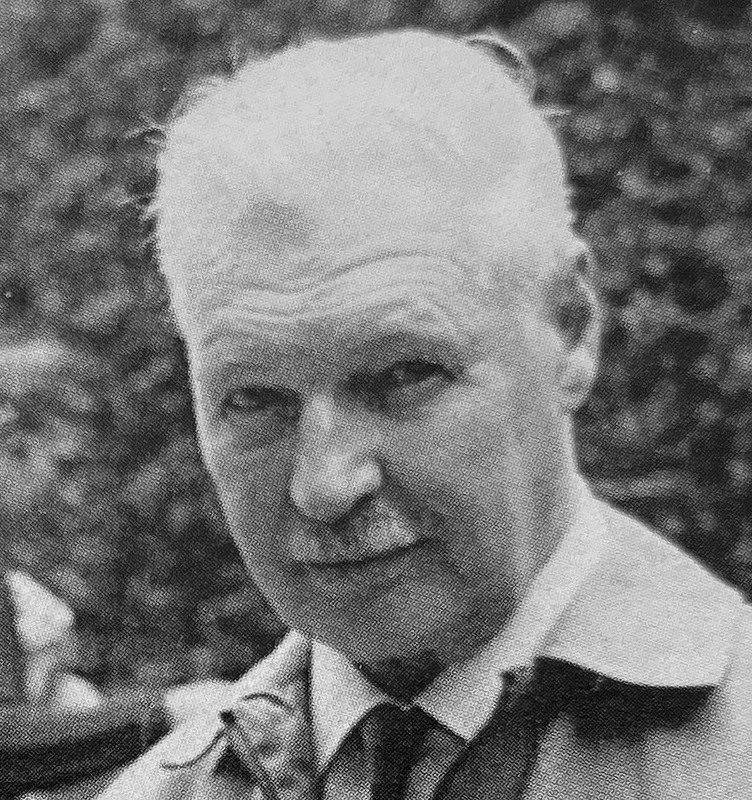 And in the 1960s George co-founded The Butler Society, a networking organisation for Butler family researchers worldwide. George, Nancy and their family lived in Monkstown, Co. Dublin. George married Ann (Nancy) VALENTINE, daughter of John (Jack) VALENTINE and Ann REILLY, in Northern Ireland. Ann was born in Irvinestown, Co. Fermanagh. She died on 27 Nov 2002 in Dublin. Nancy was a nurse. She had worked for a time in Bristol before returning to Northern Ireland where she met her future husband, George, at a dance. + 88 M i Living. + 89 F ii Living. 66. John Patrick GALVIN (Winifred Mary BUTLER , Jane LYNCH , Mary Ann EGAN , 'unknown' ) was born on 16 Dec 1906 in Mount Talbot, Co. Roscommon. He died on 19 Mar 1996 in Langton Green, Tunbridge Wells, Kent. John, worked in the Munster & Leinster Bank in Callan, Co. Kilkenny after completing his schooling. By the time of the death of his father in 1941 he had moved to London, and by 1948 he appears to have been living in the Bahamas as he married there in that year. In 1949 he was appointed manager of the Portmarnock Country Club hotel in Dublin, and it is known that he served as a director of the hotel, along with his brother, Seamus. Around 1953 John left Portmarnock when he became director of a flour milling company in Rathdrum, Co. Wicklow. Later, in the late 1950s, he moved to Co. Wexford where he worked initially as a creamery manager before being appointed managing director. He retired in the early 1970s. In 1977 John and his wife, Antoinette, settled in Langton Green, Tunbridge Wells, Kent, presumably to be nearer their daughter who lived in south-east England. John married Antoinette Marie GASSAUER, daughter of Franz GASSAUER, on 5 Apr 1948 in St. Francis Xavier's Church, Nassau, Bahamas. Antoinette was born on 1 Dec 1919 in Austria. She died on 23 Apr 1996 in England. Antoinette may have been known as Annette. She and her husband, John, appear to have been living in the Bahamas prior to their 1948 marriage. Their marriage certificate tells us that Antoinette was a hotel manager with an address at Village Road, Eastern District, Nassau. John is described as a businessman and his address was Pilot House East, Bay St., Eastern District, Nassau. Witnesses to the marriage were William T. Moloney and Mary Alice Hagarty. + 93 F i Living.